The upgrades that you need to purchase with this app do not have nearly the amount of information they say they’re going to have. They’ve missed lots of plants that are good edibles, at least in the New England area. They don’t seem to have a lot of information that could help you in a survival situation even after paying for all the downloads. Very unhappy with the purchase of the extras and not getting what they promised. On the iPad version, when you tap the danger simple on a plant listing, the warning comes up and the app freezes. Such a great app, but the latest update is causing the search function to crash the app! Please fix! I was so excited to see this app and more than happy to shell out the 6 bucks. However, the app is glitchy and freezes at the drop of a pin. I can’t download the images so all I can see is the tiny banner photo, but nothing enlarged. I’m really disappointed and feel like I wasted my money. Improve the app or get rid of it. The free app to this is better than the paid ver. The menu system is missing, information is harder to find, and no south east filter. Doesn’t work on IOS 12. Appears abandoned. This is an excellent app with tons of useful information, thorough illustrations and beautiful photographs. Totally worth the very small investment! Great as a pocket field guide, or for just browsing. Highly recommended! 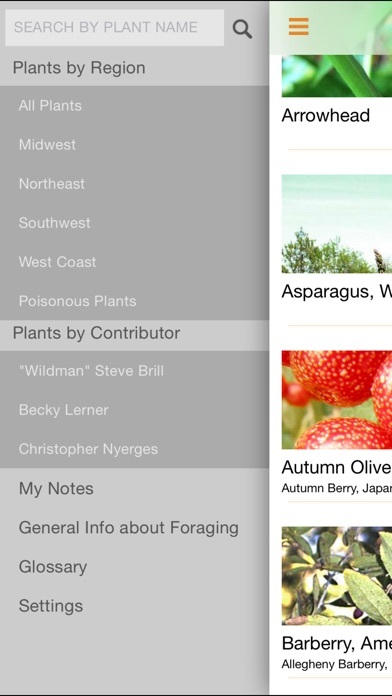 “Wildman” Steve Brill has created a foraging app for both the serious and weekend forager. He is the author of many books on foraging and has been giving foraging tours since the 1980s. His books are incredible in its detail and information, but really hard to carry around during foraging hikes. This app has all that information at our fingertips. His focus on details is evident in all his drawings. The app stands out by giving us the tools we need to identify all parts of the plant and in every season. He describes each plant, uses and medicinal values, harvesting instructions and even recipes. He is careful to advise us of any possible poisonous look-alikes. I think this is the best foraging app on the market. As someone who has purchased pretty much every single app on plants, trees, and mushrooms, this is probably the only one worth buying so far. That’s not to say that it’s perfect — almost all of the species could use more high res pictures, and many aren’t really possible to identify from this app alone because of this. But I understand that this is still a work in progress, and it’s still actually very useful as is. It’s the only field guide where I actually find myself sitting on the train going through it all the time. I paid for the full App. While the intent may be good, the App was poorly programmed. Many bugs, the pictures stopped loading and photo downloads has stopped working, and no updates for over a year. I’d say that this App has been abandoned. It certainly never lived up to my expectations. After contacting support I was told that the outsourced programmer is holding the code hostage, and I suspect that they will have to start over. Stick with his books for now. 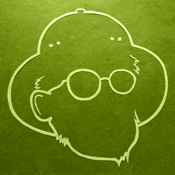 Excellent foraging app, lots of colored pictures, cooking/preparations and even some jokes! Worth the $! Wild Man Steve Brill is the man! Great resource to have in hand. ( Way easier to carry in the field than the books. ) Way better photos than I can ever take. Never have any problems with the app. And I recommend going out foraging with Wildman if you are ever in the NYC area! Focused and clear. Very easy to use, good basic launchpad. Has good information on wild edibles and how to prepare them as well as information on poisonous plants but for some reason I can't get all of the images to be downloaded. I reset the download fully and other times just rezip it but I can't get all of the photos. It's never the same photos either. Only around 6 or so though so it's not too bad. Cannot get the email to send or delete, images won’t load ... battle just to get the app to open and then no images ... wasted $6 and no support so far despite multiple outreaches including screenshots. At a minimum one should be able to type in the text string “California” and return all wild plants that have that string in any given field for that record. I plunked down $6 specifically to help ID huckleberry in this area, which I believe is abundant (but I need to be sure before wildcrafting), but there's no info! Plant selection for West Coast is weak at best. Wanted to love this, but I'm really disappointed. Only downloaded the app a few days ago, and I've already used it successfully several times. Takes up a lot of space, but it's well worth it! Will not open on iPad. Crashes and requests to send an email to the developer, then goes no further. I love this app, it's worth every penny! The plants listing is huge and growing. I love that you can search by region and season! There is a tone of pics, info and listings and warnings about poisonous look-alike species. It ALSO lets you add your own field notes. You can add pics, notes and location markers to keep track of plant locations. If you are lucky enough, take a walking tour with Wildman Steve Brill. He's not only a wonderful teacher but also a real NY character! His entertaining tours are full of history, myths, culinary & medicinal uses, and family friendly cornball humor. It's a guaranteed good time! If you are at all interested in foraging you need to download this app! Written by the foremost authority on all things wild and edible!! Love the idea. Love the initial launch. Disappointed in the utter lack of follow through with additional plants and info, and the issues that many have already mentioned never being addressed. Hopeful these issues will be addressed, because I paid for something I’m not getting. With a newer phone, the images don’t even download anymore. Not a single image. Life changing app to have fun in nature. I am a city boy, I give tours of Central Park. I took one of Steve's tours then got his App. Worth every penny as I can now go out and harvest my own teas, berries, salads, for free, pretty much where ever I travel. This app teaches you to see and actually taste the world in a new way. Practical, great pictures and Drawings to help identify plants from a true master. I downloaded this in the fall and had a great time looking for edible plants in my hood. I can't wait to go out looking again in each season. The plant photos are really helpful in ID'ing things, and I love that you can search by region (helpful when I travel). Fantastic app! I teach a natural history course that includes a foraging section in the curriculum. There are a lot of good foraging/wild edibles books out there, none of which a teenager is going to read or carry around in their pocket. The ideal solution to that problem would be an app for their phones that is comprehensive, easy to navigate and use, and has great photos. This app has all of that!! I have tried all and I mean all of the other edibles/medicinal herbs apps on iTunes and this one has all of them beaten by a mile! Well worth the purchase. The one and only thing that would make it better is adding a favorites button so you could add certain plants to a favorites list that you either like, encounter a lot, or would like to be on the lookout for while foraging. I downloaded this app 2 months ago and have not been able to get it to load. Multiple error logs sent to app developers as well as a personal email have received no response. I would like my money back but can’t get in touch with anyone. As far as I’m concerned this was blatant theft of my $5.99. Poor. This app is full of useful information and great photos for proper identification! I have the full version. Love this app. 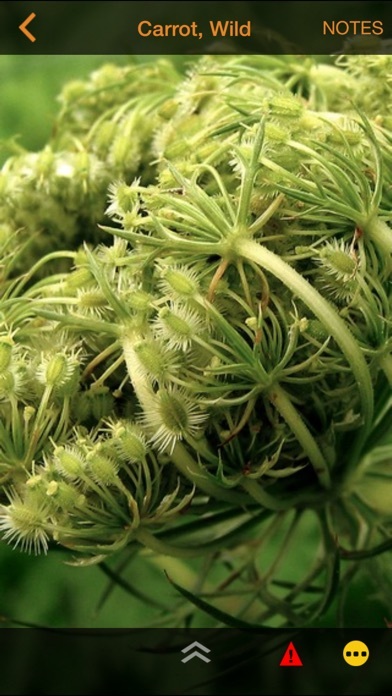 Great field guide for finding some edible plants. 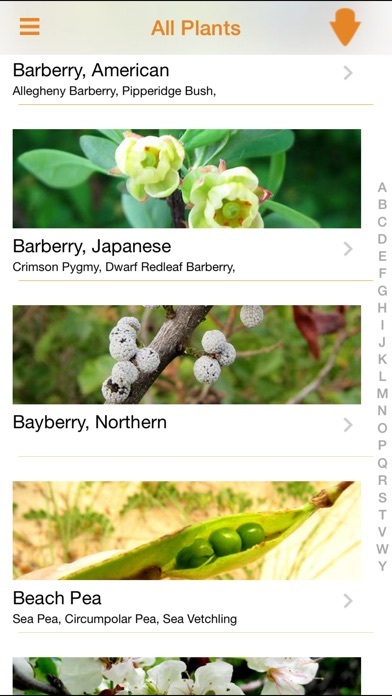 This app is a very handy guide to have if you are getting into foraging. Mobile yet detailed, it has a lot of great features that will help you learn and record your findings. I have had little trouble so far with the minor bugs mentioned. I am looking forward to social media being added so users can share info. If you get an opportunity to join one of "Wildman" Brill's foraging walks, for goodness sakes, don't miss it! It is a great experience. If you have trouble getting the installed app to actually open and function and it shows you some sort of email containing lots of code instead, from that screen, tap your home button only once in order to return to your home screen WITHOUT fully closing the app by swiping up. Click on the app icon again, and it should take you directly to all of the great pics and info as promised :) If that does not work, let the app sit open for a while (start with about 20 minutes), and then repeat the steps above. New version (update) is said to be coming out in the spring if not sooner. This app is very useful as it currently stands, even while under construction. It beats carrying a book around anyway ha! Enjoy! Lots of info, but could use more organization. I live on the east coast of Florida, north of Jupiter. I try to look up edible plants in my area and can't seem to narrow it down to my region. There is no database for the southeastern area of the US. I am nervous about trying the plants here, except obvious ones like clover and dandelion, because it is hard to find ways to match them to this database and then to my region. What would be good is to avoid the plant pages to what states they are seen in, and perhaps their characteristics so people can search by adding tags that match up. For example "Florida, spiky leaves, hairy stems, dark red berries", which would return any results featuring those tags, while filtering out the rest. For the money paid to own this app, which is great by all other standards except filtering, it would really increase its value immensely, especially in the field. For goodness sake, after all this time, please send someone to the south east to study the plants here and add them to your database. 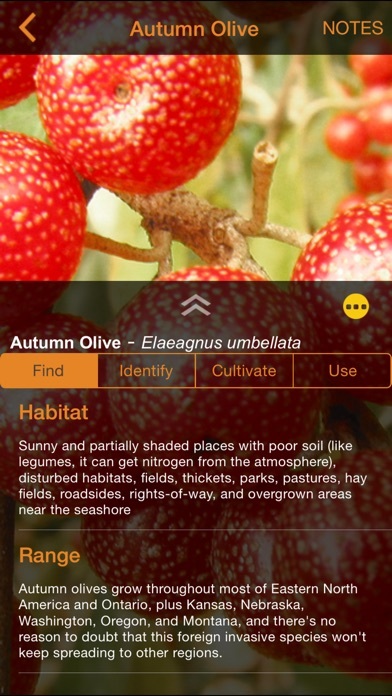 This app is great for identifying local plants for forage and keeps getting better! Wildman is also a great guide in person!! I recommend this app to everyone! Steve Brill is an incredible guy and forager. 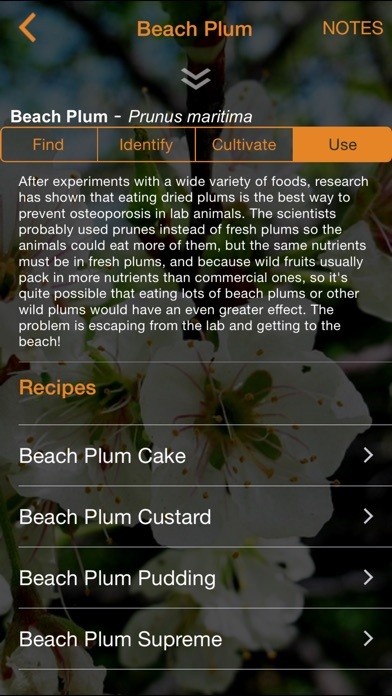 This application is a great way to learn to identify plants in an area and use them to make recipes, psych out friends, and just enjoying nature. Don't forget to take a tour, it's a great a"experience. He is hilarious! Magnificent app. Best for use in the NE and Midwest From my experience, but perfect for anyone in those regions (and there are some plants from other regions in it). Clear and useful photos, descriptions that show and tell you everything you need to know about the plant! This used to be a great app but recent changes have made it nearly unusable. It spawns errors at random times and locks up when you try to read warnings. The new navigation makes looking at pictures cumbersome and it lacks a basic search function.